Our French White Oak wood planks are individually selected for their unique colors and patterns. European French White Oak planks are cut through a special process that allows for extra wide planks and creates unique natural charcaters not found in other wood species. Consumers surely love the European White Oak (also known as French White Oak) wood floors, most of which comes from France or Germany. It is by far the most popular wood species for modern hardwood flooring. Our French White Oak Floors combine the Classic Look and Durability of French Hardwood Floors with custom modern finishes that bring life to every room and every site they are installed in. Synfonia Floors' European White Oak floors have a natural grayish tone, perfect choice for creating unique finishing colors. One of the major benefits of our European White Oak wood planks is its resistance to extreme expansion and contraction in unfriendly environmental conditions. It is a sought after hardwood flooring product due to its durability and stunning look. 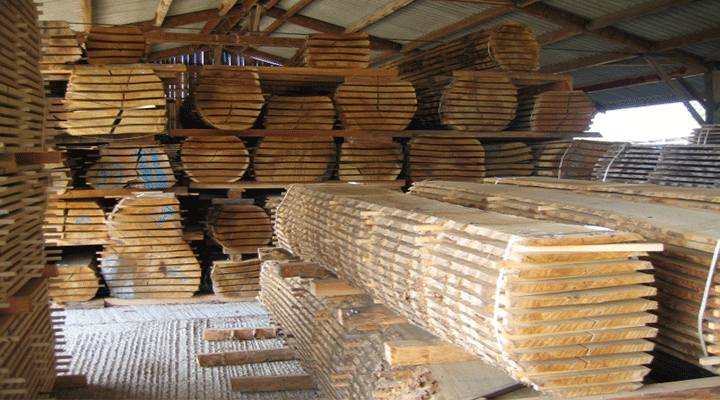 Sap wood in European White Oak is relatively thin; typically you can expect to find longer plank lengths and wider widths in European White Oak wood comparing to other species. Our European White Oak Flooring is usually finished with a natural oil finish. Oil finish penetrates the wood fibers to harden them while not altering the natural beauty of the wood itself. With no visible film on the surface, oiled floors are distinctive for their old world elegant patina. Regular application of a recommended maintenance oil product will nourish the floor and help retain its luster for years to come. Once oil is applied, a well maintained and oiled floor never needs to be sanded down. It is a one of the best choices for ease of use and reliability. Synfonia Floors can help you select the right species for your custom projects.